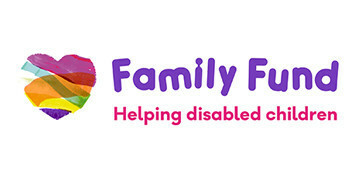 The Family Fund is a unique grant-giving charity with a 43 year history supporting low income families raising disabled or seriously ill children and young people across the UK. Last year the Family Fund provided much needed support to more than 89,000 families with grant funding of over £36 million. We provide grants for a wide range of items, with services that complement the grant programme, aiming to improve the wellbeing of disabled children and their families by providing important information, advice and support face to face, online and over the phone. Family Fund believes that all families raising disabled and seriously ill children and young people should have the same opportunities as others. It can be a struggle financially, emotionally and physically for families raising a disabled or seriously ill child, and our grants and services help break down many of the barriers families face, improving their quality of life and easing the additional daily pressures. We are looking to appoint two exceptional individuals who will bring passion and commitment, as well as skills and experience to our Board. Trustees play an active role in governing the charity and are responsible for setting vision, strategic priorities, and for ensuring that the charity complies with legal, charitable and financial requirements. Representing our work across the UK is of great importance to us so for one of these appointments we are looking for someone who is resident in Northern Ireland. We are interested in hearing from parents, researchers and professionals who have experience in the not for profit sector, and particularly disability sector experience; and those who have expertise in the areas of policy development, fundraising, and marketing.We welcome candidates with direct experience of caring for a disabled or seriously ill child or young person, and are keen to improve the diversity profile of our Board. The Board meets four to six times a year in York. In between we communicate regularly by email and occasional teleconference. The positions are unremunerated, but reasonable expenses will be reimbursed. Please visit www.familyfund.org.uk to find out more about us and for an information pack. To apply, submit your CV and supporting letter to careers@familyfund.org.uk or to 4 Alpha Court, Monks Cross Drive, Huntington, York YO32 9WN. Closing date for applications is Friday 4 November 2016 with interviews being held in York week commencing 5 December 2016.